Law Offices of Laurie E. Ohall, P.A. is an estate planning and elder law firm helping seniors and their families figure out ways to pay for long term care. Elder law attorneys deal with unique issues of the older population including Advance Directives (POA’s and Living Wills), Medicaid Planning, VA benefits, Wills and Trusts. Many people do not realize that most elder law attorneys also work with special needs families because many of the rules that govern benefits for seniors also affect the disabled. Special needs families also need estate planning to insure that their children are cared for after they are gone, both financially and otherwise. We work with clients of all ages to insure that their estate planning is in place and up to date so that, when the time comes, their financial and health care documents are in order. One unique aspect of our firm is our pro bono workshop for families with special needs children turning 18 who will not be able to take care of themselves after they turn 18 and still need their parent to act as their guardian. This workshop is free to special needs families who would like to learn how to file for guardian advocacy without the need of an attorney. Additionally, we offer free phone consultations to anyone who has a general estate planning, elder law, probate or guardianship question and needs additional information. We have two attorneys at our firm. Laurie E. Ohall is Florida Board Certified in Elder Law and has been practicing since 1994. 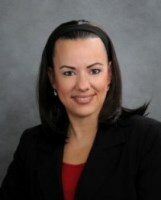 Dana C. Kemper has been practicing estate planning and elder law since 2007.